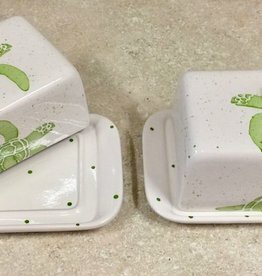 This soap dish is as useful as it is pretty. Hand washing is recommended, do not microwave. 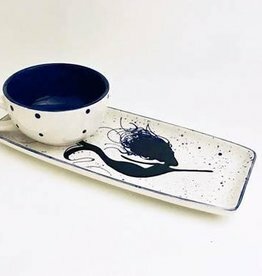 This is a great luncheon set for serving one of your favorite dishes for all your lunch parties and special occasions. This will make a great wedding gift or housewarming gift, too. 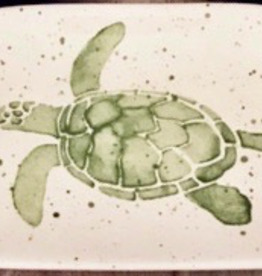 Mermaid graciously adorns this platter swimming with her sea turtle in aqua and teal. 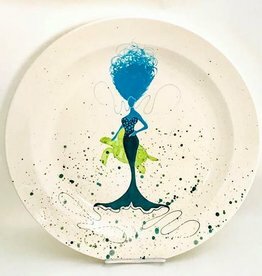 She will look great on any dinner table or displayed on a table for all to see. 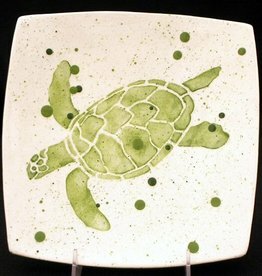 Handmade Dinner Turtle Plate, Do Not Microwave, hand wash recommended. 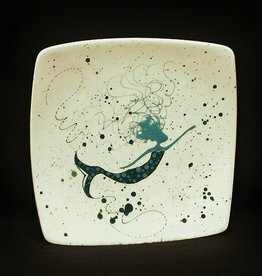 Handmade Mermaid Plate, 8.5" SQ. Choose from Aqua/Teal, Red, or Orange. Hand Wash only, Do not microwave.